Home » Eat Well • Health A-Z • Live Well » Are Eggs Good For Heart Health? Are Eggs Good For Heart Health? “Sunday ho ya monday roz khao ande” says a commercial because eggs are loaded with health benefits which make it not only a popular but a wholesome breakfast item. A medium sized boiled egg has only 80 calories and packed with various nutrients such as protein, monounsaturated fats, vitamins, and minerals. It also contains a good amount of cholesterol, which is not considered a healthy food for the heart and hence, most people limit the intake of eggs. But is it a good idea to skip eggs from the diet for people with heart disease? Well, here is what research has to say. A recent study published in the journal Heart revealed that people who ate an egg every day had around 18% of the lower risk of death due to a cardiovascular condition. Moreover, it also found that as compared to people who didn’t eat eggs, eating an egg on a daily basis was associated with a 28% lower risk of suffering from a hemorrhagic stroke. This study proved that moderate consumption of eggs (not more than one a day) can lower the risk of cardiovascular disease, heart attack, ischemic heart disease and stroke. Eggs: How much is too much? The 2018 study published in the European Journal of Nutrition, egg consumption up to one egg per day has no major effect on the risk of CVD and mortality. However, in patients with established cardiovascular disease of type 2 diabetes, eggs can be included in a diet with a special emphasis on a healthy lifestyle. However, it is recommended to limit cholesterol intake through diet to no more than 300 mg per day along with following a healthy eating pattern. As per the latest American Heart Association guidelines rather than strictly limiting cholesterol intake, it is advised to implement dietary patterns that emphasize on the intake of fruits, vegetables, whole grains, low-fat dairy products, poultry, fish, and nuts to keep blood lipid levels in check. Also read brown eggs vs white eggs: what is better for you? Egg white or egg yolk: What is healthy? The nutritional value of eggs is based on its protein content from egg white and nutrients like vitamin D, vitamin A, vitamin B12, calcium, iron, and folic acid. Egg white is fat-free but the yolk contains around 200 mg of cholesterol and 5 gm of total fat of which only 1.5 gm is saturated fat. Saturated fat is responsible for an increase in cholesterol levels whereas unsaturated fats such as polyunsaturated and monounsaturated fats are good for the heart. Moreover, including eggs in the daily diet is shown to improve lipoprotein (type of cholesterol) particle profiles and enhance HDL (good cholesterol) function. Bottomline: Egg white is undoubtedly one of the valuable sources of high-quality of protein. But when it comes to egg yolk, it is advised that people with an increased risk of cardiovascular disease or high cholesterol level should avoid egg yolk. Moreover boiled eggs are better than fried ones because frying will further increase the cholesterol content. Xu L, Lam TH, Jiang CQ, Zhang WS, Zhu F, Jin YL, Woo J, Cheng KK, Thomas GN. Egg consumption and the risk of cardiovascular disease and all-cause mortality: Guangzhou Biobank Cohort Study and meta-analyses. Eur J Nutr. 2018 Apr 21. Blesso CN, Fernandez ML. 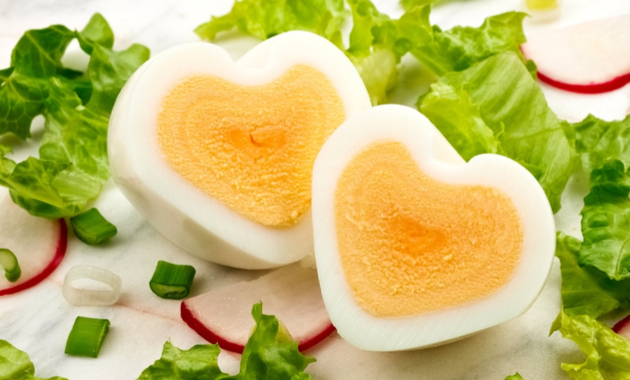 Dietary Cholesterol, Serum Lipids, and Heart Disease: Are Eggs Working for or Against You? Nutrients. 2018 Mar 29;10(4). Clayton ZS, Fusco E, Kern M. Egg consumption and heart health: A review. Nutrition. 2017 May;37:79-85. Geiker NRW, Larsen ML, Dyerberg J, Stender S, Astrup A. Egg consumption, cardiovascular diseases and type 2 diabetes. Eur J Clin Nutr. 2018 Jan;72(1):44-56. Spence JD, Jenkins DJ, Davignon J. Dietary cholesterol and egg yolks: not for patients at risk of vascular disease. Can J Cardiol. 2010 Nov;26(9):e336-9. What Are The Main Causes Of Colorectal Cancer? ← World Breastfeeding Week 2018: Why Is It Important To Breastfeed?